How Can Respite Care Help You and Your Loved One? When you are the sole care provider for an elderly loved one, it can no doubt become a challenge. Not only do you have to be there to ensure they are receiving the care they deserve, but you will also need to juggle other responsibilities, such as work. This is not an easy task to do, and it can lead to exhaustion, frustration, resentment, and a reduced quality of care for your loved one. However, we offer a solution to this problem through our in home care services in Oakland Counties, Michigan. One of the main ways our respite care can help you take care of your loved one is through the additional support. You are no longer the sole care provider, which means you have fewer responsibilities to worry about and more time to dedicate yourself to work and other things. This can give you some breathing room while still ensuring that your loved one is still receiving the best care possible in the comfort of home. It can be very stressful when you are juggling your personal life and the care of an elderly loved one. However, through our respite care services, we can take the reins from you. This will allow you to go out or recharge your batteries and get the rest you need. We all get worn out over time, and we all need a break. Our respite care services can provide you with this break, and the peace of mind knowing your loved one is in good hands. 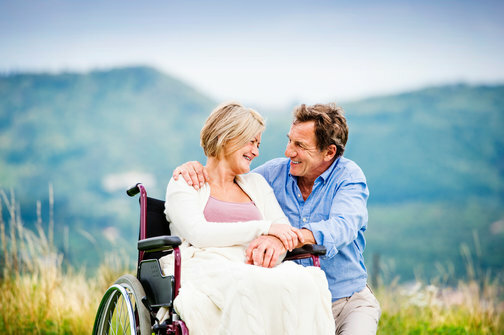 To make sure that your loved one is able to receive exceptional care, we tailor our services to meet their unique needs. This is to improve their quality of life and independence at home. Those are just a few of the many ways our respite care services can help you and your loved one. If you would like to find out more about this or about our in home care assistance in Southeast Michigan, please feel free to get in touch with us anytime for more information. This entry was posted in Senior Care and tagged Healthy Lifestyle, In-Home Care, Personal Care Services. Bookmark the permalink.